Delivers up to 30 minutes of soothing relief. Designed to treat acute pain and swelling on smaller areas on the body. Whether you have an elbow, knee, ankle or wrist pain, the Chattanooga-ColPac Blue Vinyl Quarter Size delivers cold therapy lasting up to 30 minutes. 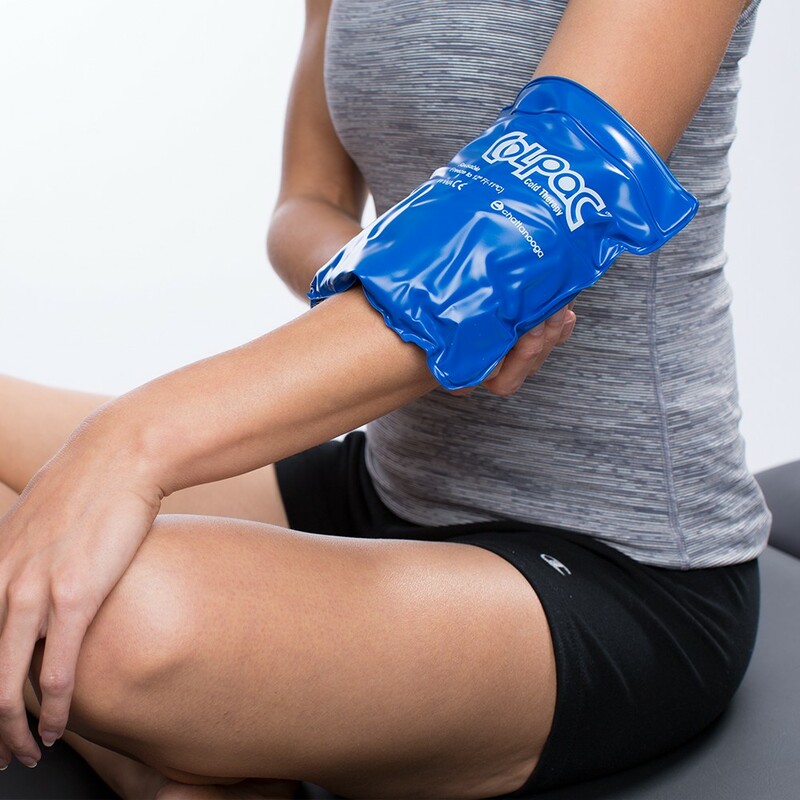 The quarter size reusable cold compress of 5.5" x 7.5" is designed to sooth medium- to small-injured areas, bursitis, arthritis, tendonitis, or sprains and strains. Made with durable blue vinyl, this cold pack is soft and flexible, allowing you to re-use many times. Easy to use, simply freeze and apply, molding to the injured area for targeted pain relief. Finally, a reusable ice pack that is smaller to cover your ankle, knee, wrist or elbow injuries. The Chattanooga ColPac Quarter Size is the ice pack you commonly see physical therapists, trainers and doctors using for their patients. Delivering up to 30 minutes of soothing relief, this smaller-sized cold compress alleviates pain and reduces swelling in the comfort of your own home. Simply lay down and place a thin towel or cloth between your skin and the ice pack, and ice. With this reusable ice pack, you can use it again and again to treat pain. Meant for cold therapy only; is not designed for hot therapy. This Blue Vinyl Chattanooga ColPac Quarter Size Ice Pack measures at 5.5" x 7.5".